Helen Ann Yoho, 63, of Raccoon Twp., passed away unexpectedly Tuesday afternoon, November 20, 2018, at UPMC Presbyterian. Born June 8, 1955, in Sewickley, to the late Virgil and Rose Ellen (Dequasie) Russell, Helen enjoyed collecting Fiestaware, camping, card club, helping others. Spending time with her family and friends, she also had a love for crocheting blankets for her friends and family. She was an awesome cook and made the best cookies. She was a loving mother, wife, sister, grandmal, and friend. She is survived by her husband of 44 years, Charles D. Yoho; daughters, Carmeleda and her husband, Doug Stiner, Plano, Texas; Ashleigh and her husband, Joshua Deal, Georgetown; two grandchildren, Spencer Yoho and Andrea Deal; siblings, Carol Strum, Chester; Andrea and her husband, Dennis Yoho, Hookstown; Norma Russell, Hookstown; Linda Snowden, Colorado; Jennifer and her husband, Kevin Dotson, West Virginia; Harry and Kim Russell, Harmony Twp., and numerous nieces and nephews survive. In addition to her parents, she was preceded in death by her father-in-law, Charles E. Yoho; a son, Louis Yoho; nephew, Jackie Strum; a brother, Perry Russell; a brother-in-law, Jack Strum; a nephew, Kenny Dotson. The family would like to thank the staff on 5-D at Presbyterian Hospital for all the love and care they showed to her. 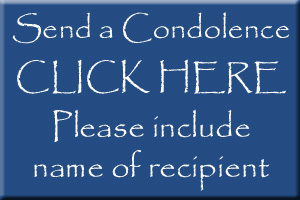 Private visitation and services will be conducted by the MCCONNELL FUNERAL HOME, 447 Pine St., Hookstown, PA 15050.